Whether you are enjoying football season by attending the game or watching it from your place of choice, here are a few apps that will let you be great this football season. Your phone is on 3% ? Find a Doblet. Doblet allows you to stay charged wherever you go by locating a nearby restaurant or bar with a Doblet charging station. Each charging station consists of four batteries. Just tell the waiter you would like a Doblet charger, and you then pay for a single charge through the app or an unlimited membership. You forgot where you parked? Next Time drop a pin. Is it just me or does almost everyone forgets where they park their car after the game is over (Game Day parking can be tough) Try dropping a pin once you find a spot using Maps on iOS or Google Maps. 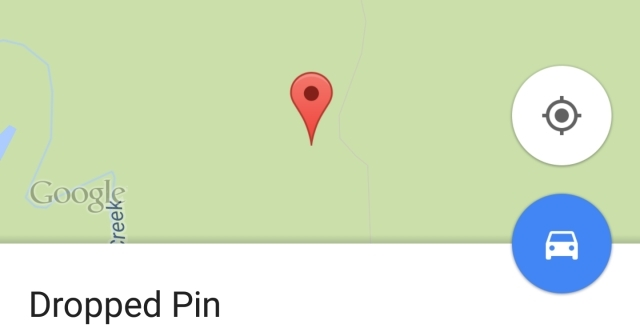 Dropping a pin allows you to eliminate the confusion and stops the “I know where we parked” friend who gets everyone lost 30 min later. You can also send your pin to others just in case. want to make sure the game is on at your favorite bar? Need a place to watch the game but want to know which bar/restaurant is viewing them? Direct TV has an app called Sports Bar Finder that allows you to find a bar/restaurant in your area that is showing the game of the night. Once you select the bar, the app will even send you directions and can also send invites to your friends. Obviously this doesn’t relate to college sports, but a large reason why people are happy football is back because of Fantasy Sports! Fantasy Football is hosted by a variety of platforms such as ESPN and Yahoo. However, whichever one you choose, the concept is the same. Everyone puts money in a pot to have a draft with the players available for that season. Much like the NFL, their success is dependent on how the players perform week to week This year is my first time playing fantasy football using Yahoo, but it has always been interesting watching people get their strategy together by viewing stats of their favorite players to seeing the emotional roller coaster as the season goes on depending on how as league performs. Below is a screenshot of a few members of my league this year. Was your fantasy football team was a bust this week? Did your cousin’s team take a major loss this weekend and you want to troll his inbox? Document those L’s by downloading the Crying Meme Generator from Swyft Studios. Everyone knows about the infamous Michael Jordan crying face, but did you see Lebron though? Homeboy had that good ol’ ugly tears of joy cry after the Cavs won the NBA Finals. (It was heartfelt, but facts are facts). The internet is undefeated so download it now to flood people’s inbox with tomfoolery. Even though we are just a few weeks into the season, I hope a few of these tips can save the day and/or make your game day experience a lot better. What is your favorite app to use during football season? Who is your favorite NFL or College Football team? Let me know in the comments below!